The flu is more dangerous than the common cold for children. That’s why the Centers for Disease Control and Prevention (CDC) recommends a yearly flu vaccination for all children six months and older. Last year’s flu season was one of the deadliest. More than 2,150 people died from the flu in the Houston area. The flu vaccine is tweaked every year for the upcoming flu season in hopes of targeting the viruses most likely to circulate during that year. Ideally your child should get his or her flu shot by the end of October, but the shot is still effective for those who get it later in the fall or winter. The risk of the flu decreases in pregnant women who get the flu shot. They’re better able to protect their babies during those first months after their birth. Parents, caregivers and older siblings should also get vaccinated since that too will help protect babies from the flu. Other children at high risk for the flu include kids younger than the age of five; American Indian and Alaskan Native children; and any child with a chronic health problem like asthma, diabetes or a weakened immune system. One of the most common myths around the flu shot is that you can get the flu. That’s not true. 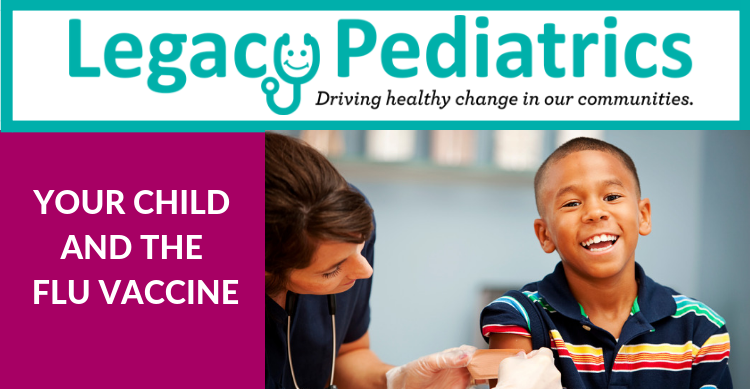 Another popular myth is that healthy children don’t need to get the flu vaccine. Healthy children are still at risk of getting sick from the flu. Since immunity weakens over time, annual vaccination is the key to staying healthy. And, don’t forget, yearly flu vaccines are also recommended for adults. So get your flu shot!